This week Kenny and his team have created a Web Agency Layout Pack with seven different page layouts that will provide everything a Web Agency will need to get up and running in minutes. 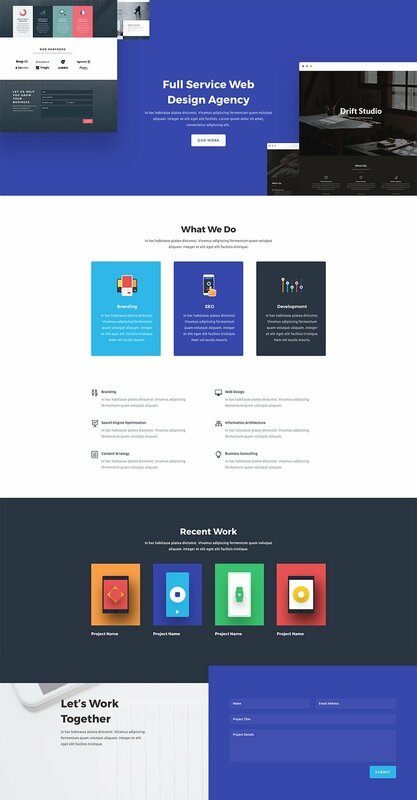 This layout pack includes some important “must haves” for a Web Agency, including a pricing page, a services page, and a portfolio page. The design is tastefully colorful and clean throughout. The background images stage the content in creative and effective ways. I particularly love the CTA on the Services page. The Pricing page has exceptional color schemes with some valuable sections for establishing credibility (the trusted brands section is a nice touch). Plus, with the thoughful inclusion of text (not just dummy text), I would expect any agency would be able to use these layouts out of the box, with only minor adjustments. 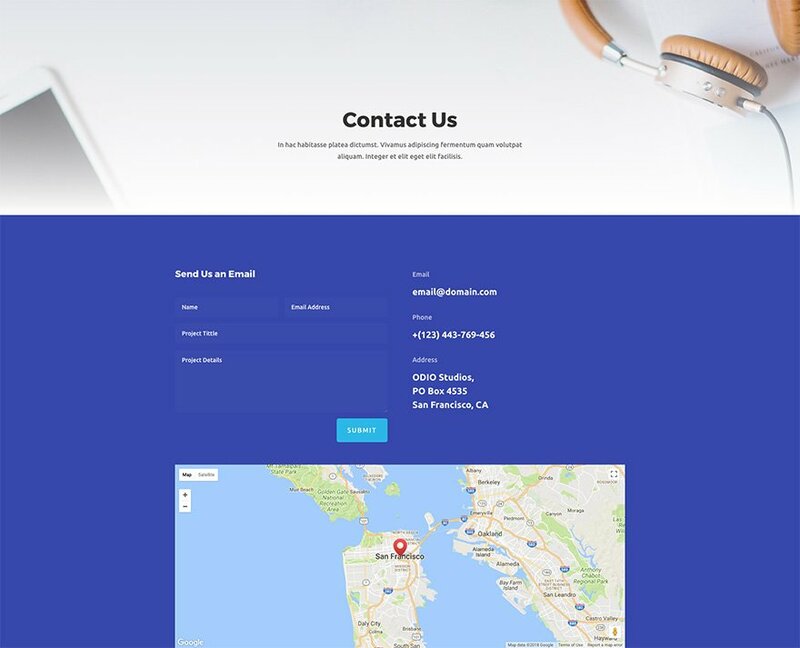 To use the Web Agency Layout Pack on your own Divi website, you will first need to download it using the button below. To gain access to the download you will need to subscribe to our Divi Daily email list by using the form below. As a new subscriber you will receive even more Divi goodness and a free Divi Layout pack every Monday! If you’re already on the list, simply enter your email address below and click download. You will not be “resubscribed” or receive extra emails. Once you have downloaded the layout pack, locate the divi-web-agency-layout-pack.zip file in your downloads folder on your computer. Double click the folder to unzip it and then navigate inside the divi-web-agency-layout-pack folder. Inside this folder you will find 8 files, each of which is a unique layout that you can import into your Divi Library. To do so, navigate in your WordPress Admin to Divi > Divi Library > Import & Export. You can select the individual layout you desire or choose the All Layouts file to important everything at once. 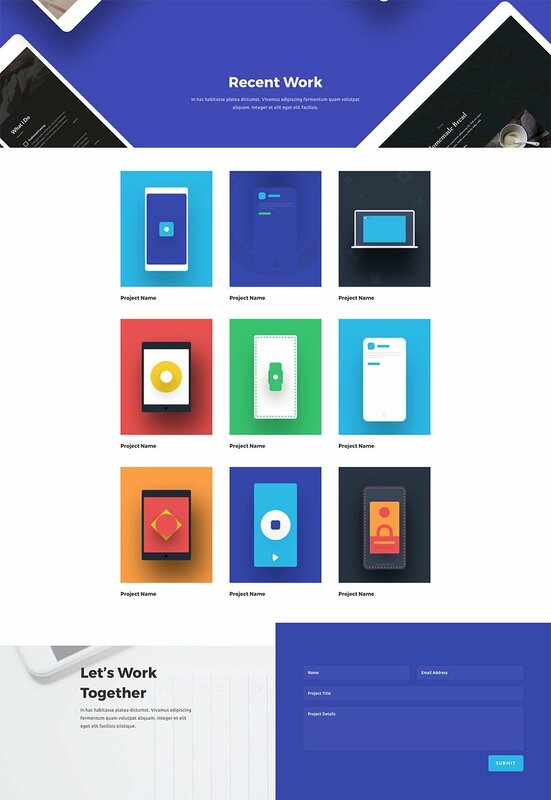 We hope you enjoy this Web Agency layout pack. And to help ensure that you do, we’ll be doing a live stream on our Facebook page this Tuesday at 3pm EST to walk through how to create a free quote calculator in order to boost conversions on your new Web Agency website. 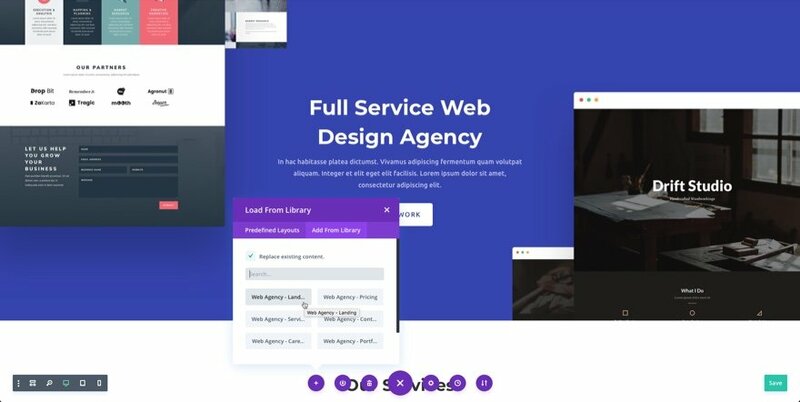 You first made this https://www.elegantthemes.com/blog/divi-resources/download-a-free-impressive-design-agency-layout-pack-for-divi and today the web design layout. WOW. Wwwwooo! Thank you so much Jason! Awesome, really cool modern and will use it for sure. thanks for this amazing work. I was looking to update my current layout. Great work! Congratulations! Please carry on this way, as, apart from business, you are performing an importaqnt helping-role work!! 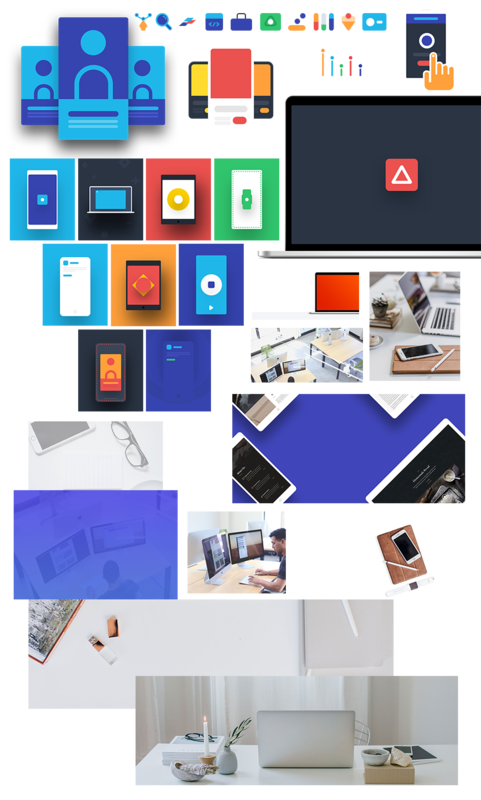 Although I’m not a webdesigner, I will download this layout pack nevertheless. It is unique, I’ll give it that. Some of the misaligned layout design looks sloppy. As a designer I understand what you were thinking, but it is not obviously intentional enough. However, these are always helpful for inspiration. Thank you for all the help and templates! woohoo, thank’s Jason, not ashamed to say, I’m putting this one to work for myself too! there’s no download link on this page. Just before the video, there is an email form. Enter your email and send. It checks your email address against Elegant Themes’ registered users and if you’re one of them a download button will appear. Same goes for the images a little further down the page. That’s nice, but all of your released layout packs are missing a single blog post layout and navigation. WordPress is primarily meant for blogging. So all the layouts are unusable because the default and only single blog post layout never fits the layout pack and is kind of boring. Changing the single blog post layout is impossible without knowing php. Since your theme options offer zero customization of the layout of the single blog post, it’s impossible to at least DIY fit it to the layout pack style (unless knowing php). WordPress may have started out being primarily a blogging site but it’s expanded rapidly into websites, ecommerce and other functions which the divi theme serves in truly innovative and imaginative ways. You can use these layouts for blog posts as well. The Divi Builder is fully available for posts. Love this one Jason – ultra modern design with cool looking features. Got plans to use this on my own Design Agency website. Thanks so much folks !! The Divi products and Elegant Themes are simply the BEST !!! You guys are great! You helped me so much in my development as a digital marketing analyst and web designer. Will you be making a trailer hire or photography or a modelling portfolio site? You guys are amazing. You helping non graphic/web designers. Wow, this is what I was looking for! Thanks a lot! you are the best!!! It’s damn beautiful! The colors, style and design is elegant. Thanks! Divi Team! You all are doing kickass work. I am waiting to keep hands on Divi 3.0 Builder! Great layout. Thank you very much! Thank you so much. Divi and the people behind divi rocks!! I joined the team not long ago, and I just want to say thanks for all the excellent work and articles that you keep on sharing for FREE with the DIVI nation. PS: Need some NEW tendency ideas for e-commerce website. Do you know where to look for them? Otherwise, I will just throw them into Adobe and whip them around… after all, I gotta to SOME of the work ;). Thanks for making my life easier. Thank you so much for this!! I was just researching on layouts for my new web agency website hahaha like a gift from the gods. Thank you thank you thank you!! How in the heck is there no project page layout? That is the one layout I would be interested in. Amazing! You have pulled yet another beautiful and, in my case as a nonprofit, functional site possibility. For those few naysayers whining about a project page missing or no blog in the delivered product, I say it can easily be done with a little bit of styling in your codec of choice. Thanks again. I look forward to your next hot of the presses creation! Thanks man for free layout .. Hi!!! First thanks for the layout, it’s so awesome, but i tried to install web-agency_all.json, this message appeared: “This file cannot be imported. It may be caused by file_uploads being disabled in your php.ini. It may also be caused by post_max_size or/and upload_max_filesize being smaller than file selected. Please increase it or transfer more substantial data at the time.” and i tried to install file json one by one but i got that answer: “This file should not be imported in this context”, please how can i process to fix that? !